“Give the people something worth hearing and they will listen like a woman hearing a will read or a condemned man hearing his sentence given by the judge.” The man who said that was preaching to thousands weekly by the age of 21 and had already preached more than 1,000 times. His name—Charles Spurgeon. Spurgeon pastored the New Park Street Church from 1854–1892. When he arrived, the congregation had 232 members; at his death, the membership had swelled to 14,460. The church was the largest independent congregation in the world. Spurgeon spoke regularly to 6,000 attendees every Sunday for 30 years. What drew them in? In a word—preaching. 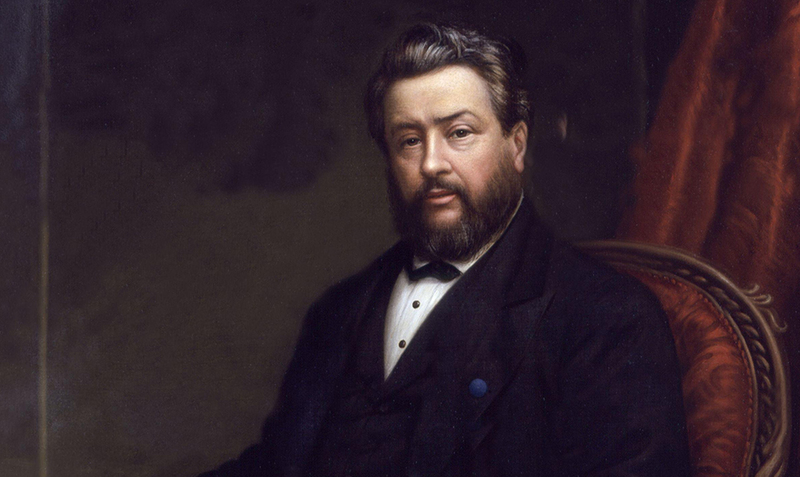 Here are ten lessons on preaching from Spurgeon. Cultivate good study habits. Spurgeon was a student of Scripture and of his library (12,000 volumes). He studied all week long and read prodigiously. His deep study of Scripture coupled with his broad reading combined in a tag-team effort to make him an excellent preacher. Cultivate your voice. Without microphones, Spurgeon could be clearly heard by the thousands that listened to him. Clear vocal projection is a must in good preaching. Cultivate eye contact. Spurgeon preached mostly without notes. He rarely took more than a page of notes into the pulpit and often less. One vital key to communication is eye contact—lots of it! Cultivate clarity. Spurgeon crafted clarity. His style was unexcelled. Though he did not write every word of his sermon, he spoke as if he had—at the rate of about 140 words per minute on average. He preached such that everyone, the educated and uneducated, cultured and uncultured, old and young, could understand him. Cultivate the use of illustrations. Culled from his broad reading, Spurgeon punctuated his sermons with a wide variety of well-placed and well-told illustrations. They can make or break a sermon. Cultivate good use of gestures. Spurgeon maintained that the preacher preaches with his whole body. He told his young preaching students that if he could, he would make them take acting lessons to learn how to speak and gesture. Cultivate preaching for a verdict. Spurgeon sought to persuade people to follow Christ. He envisioned himself as a lawyer arguing for a verdict before his jury. Gospel invitations should be universal and so he did not restrict his invitations, according to his biographer Iain Murray. Cultivate a method of public appeal for salvation. It is often erroneously reported that Spurgeon never gave public invitations. An 1865 article in Spurgeon’s The Sword and the Trowel reported: “C. H. Spurgeon earnestly exhorted those who had accepted Christ as their Saviour to come forward amongst his people and avow their attachment to His person and name.” Lewis Drummond, author of the definitive biography of Spurgeon, once told me that he discovered letters in his research that indicated Spurgeon believed in and occasionally practiced public altar calls. Make Christ the center of every sermon. An oft-quoted statement attributed to Spurgeon is that he always took a text of Scripture and made “a beeline to the cross.” Though the best Spurgeon scholarship concludes Spurgeon never made this statement, he essentially did just that. In his 1859 sermon “Christ Precious to Believers,” Spurgeon quoted a Welsh preacher: “I have never yet found a text that had not got a road to Christ in it, and if I ever do find one that has not a road to Christ in it, I will make one; I will go over hedge and ditch but I would get at my Master, for the sermon cannot do any good unless there is a savour of Christ in it.” Spurgeon’s preaching was Christ-centered and cross-centered. You can’t preach like Spurgeon. Don’t even try. But you can learn to preach from him. Every preacher should. David L. Allen is the Dean of the School of Preaching, Distinguished Professor of Preaching, Director of the Southwestern Center for Expository Preaching, and the George W. Truett Chair of Ministry at Southwestern Baptist Theological Seminary in Fort Worth, Texas. A version of this post originally appeared at drdavidlallen.com and is used here with permission.